Not for the faint of heart. 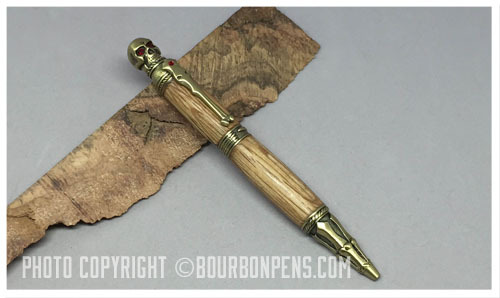 The Skull Pen sends a strong statement that signifies fearlessness, power, and independence. 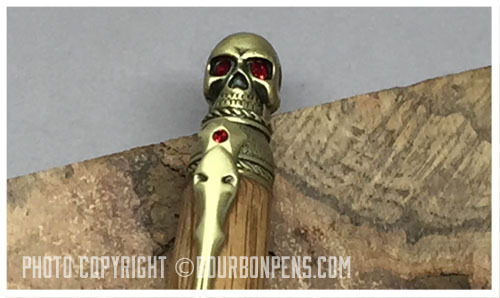 complete with red crystal eyes, while a single bone hand grips the center. 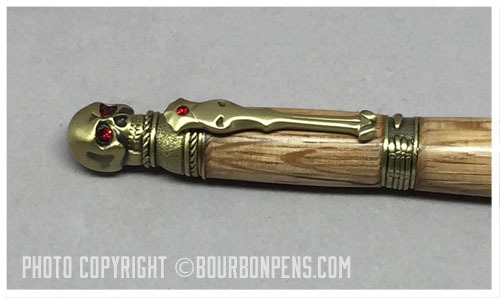 The clip and tip are embellished with decorative bone accents. This is a ball point twist pen. 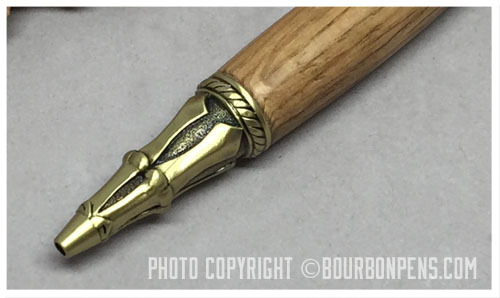 The pen uses a Parker style refill. Available in Antique Brass (other hardware styles coming soon), and your choice of wood "flavor."